Red nose day fundraising FUN!! More vehicle making at it's best! 3.4.19 - Making our moving toy car! First we looked at varied vehicles in order to design our own. 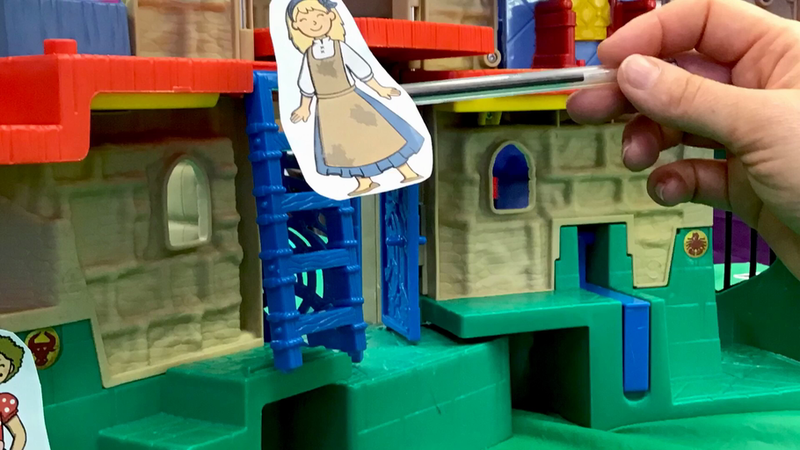 We cut our own materials and assembled, joint and pieced together all the parts. The outcomes were fab! 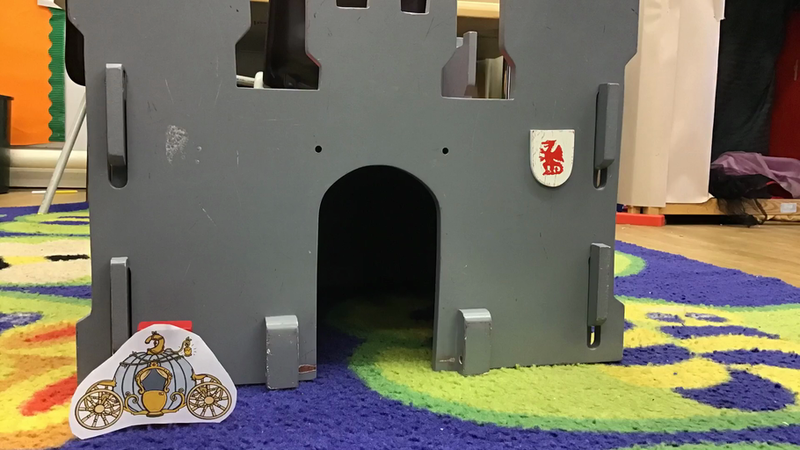 1.4.19 Testing Materials - Class 1 tested materials before deciding what materials to use to make a toy car. We tested to see if the materials were waterproof, bendy or strong. We made great predicitons and thought of super explanations. Testing was much fun! 18.03.19 - Poplar Nurseries Trip! We had a wonderful day out at Poplar Nursey. Jazmine our tour took us round to show us all the varieties of seeds, bulbs, vines, trees, herbs and many of the things they sell in order to grow. We learnt so much! We then went into their secret cottage to plant our own strawberries, we have been able to bring them back to school to nurture and eat! We learnt about insect homes and life cycles too! What a lovely experience. 5.3.19 Puddle task.... How do you measure a puddle? Lots of great matehmatical thinking and language was used to explore this activity! 26.2.19 - Getting to know the artist Andy Goldsworthy. The children studied his creations and chose their own piece to replicate using materials on the school grounds. They worked beautifully in teams to reproduce some of his own pieces - adapting them according to what they could find. 26.2.19 - Introduction to our 'Growing' topic. We have planted some cress and put it in the sunlight to grow. We will be monitoring and tracking it's progress. We made perfume using petals and food flavouring. We painted still-life flowers, planted carrots in the mud, looked at the life-cycles of other animals, made playdough patterns using things that have grown around us. We are also moving our learning of capacity on to interpret the numbers and measurement on the measuring jugs. 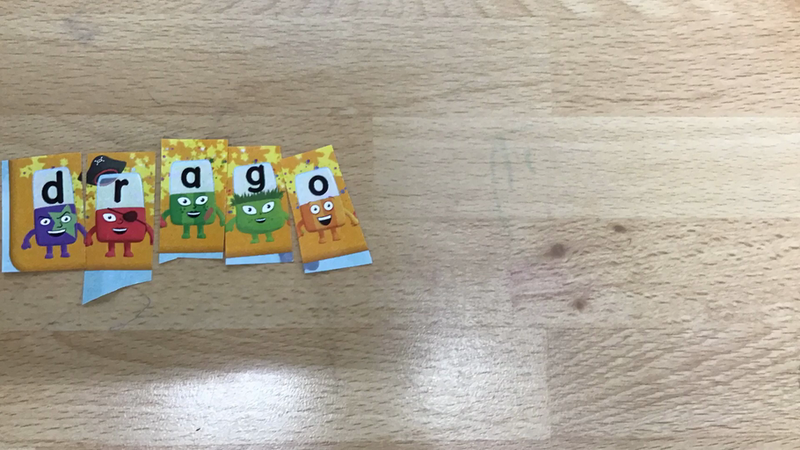 25.2.19 - Using and applying language related to capactiy. The cup is half-full, full and empty. The bucket is nearly full of sand. The tub is full up. Chinese New Year Nian dancing! 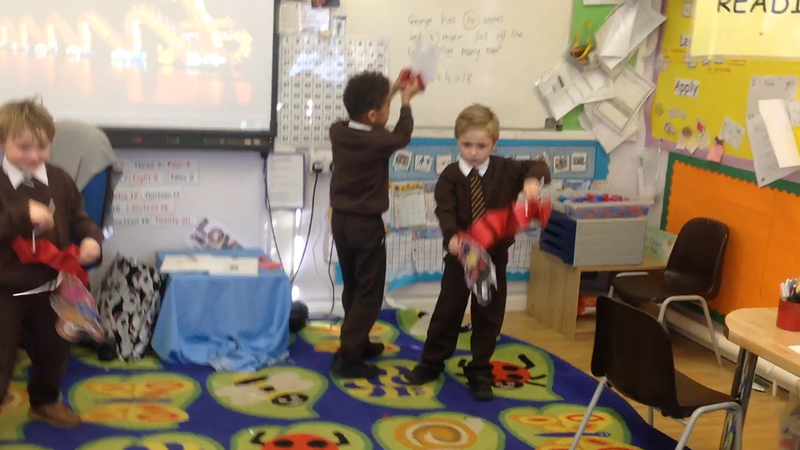 The children made their own 'Nians' and listened and responded to Chinese music in role-playing their version of the dance. We began our Chinese New Year topic on the 4.2.19 and continued into the week beginning 11.2.19. In the first week we focused on exploring the Chinese New Year zodiac story about the animals. The children retold the story and experimented with making rafts for the animals to cross the river. Mrs Wei kindly came into share her own experiences of Chinese New Year and generously gave the children a red envelope and provided some delicious food for them to try. We went on to learn the story of Nian the monster who was scared off by the colour red and loud noises. 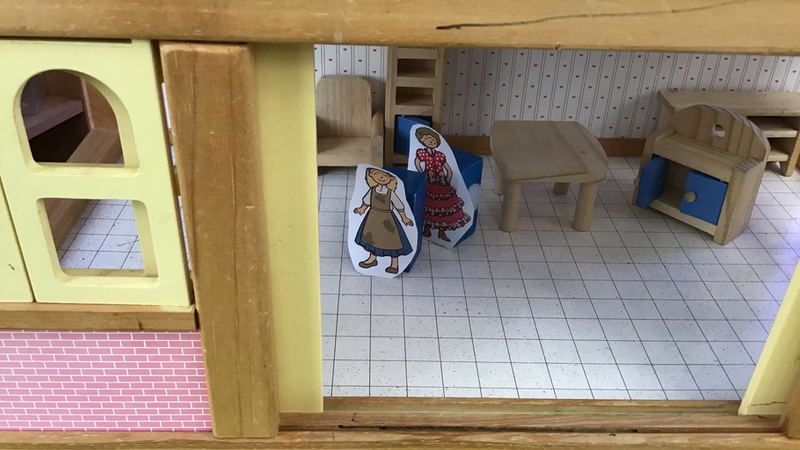 The children created their own Nians and role-played the story hiding in the village and chasing him away. We looked at maps to learn where China is and compared their New Year celebration with our own celebrations. Emmie and Willow Film Company Extrodinaire! Archie.B and Antonio Movie Makers est. Cinderella at the castle party! Effie and Esmae film productions! Ted and Fred film company! Presents: Cinderella and the ugly step sister! Cinderella by Ernest and Blake productions! Class 1 mini-productions of 'Cinderella' using the 'Stop Motion' app on our school ipads. 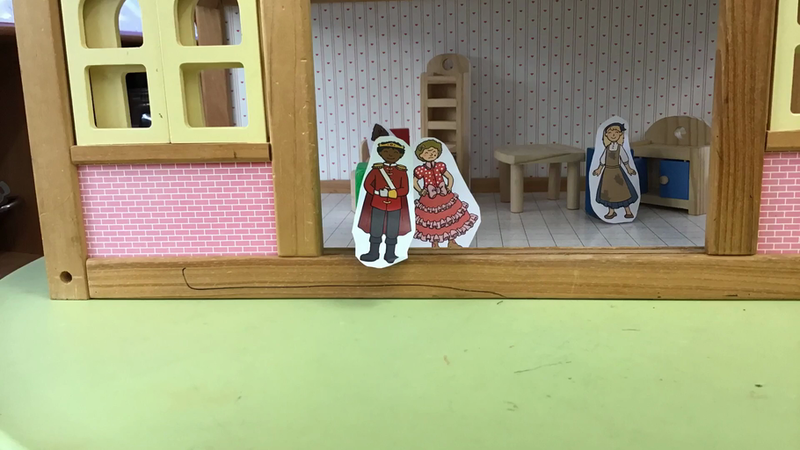 The children took the clips and moved their characters themselves. They edited and added voice overs. 10.01.19 - Our first school swimming lesson! Some of the children in Class 1 had never been swimming before! We saw nervous faces soon change into beaming smiles. So incredibly proud of how well the whole class took to the water! Well done Class 1! 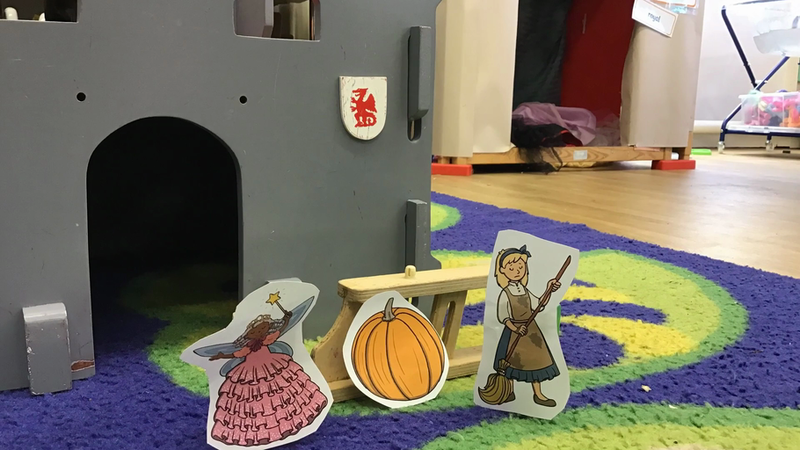 3rd & 4th January - Welcome back to our spring topic - Fairytales. The children designed and then made gingerbread men. They Intricately followed their designs. They used left over dough as playdough and role-played making it all over again. 17th and 18th of December 2018 - Class 1 and 2 visited Don Thompson house and Limecourt. The children moved the residents to tears of joy with their singing and beautiful company. They made us proud by singing their hearts out and chatting away to the resisdents. It meant an incredible amount to the residents to see their smiling faces. 14.12.18 - Craft sharing with our parents/carers/family - We had such a lovely morning and a great show of visitors making the most of all the Christmas craft on offer. Making stockings, decorations, gift bags, baubles and cards. Thank you to those who were able to join us. 12.12.19 Christmas dinner, jumper and hat day! We LOVED this school tradition and embraced designing and making our own hats! 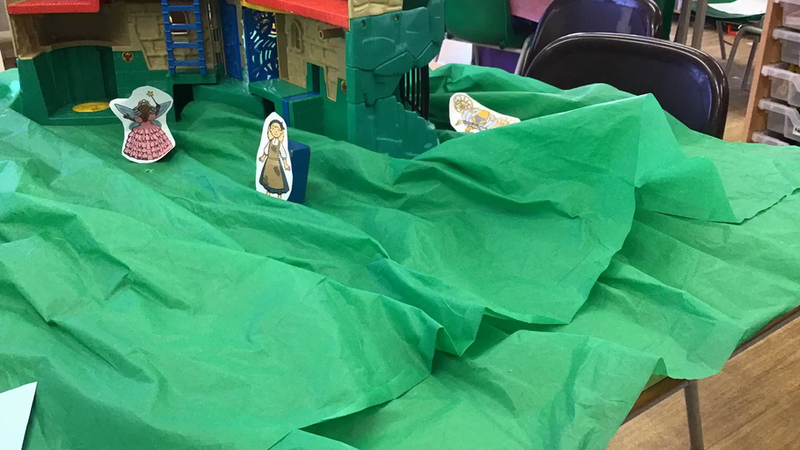 Week beginning 10.12.18 - Retelling of the Christmas story! 7.12.18 -PE - Moving over, under, on and through in a variety of ways. Balancing and jumping safely. 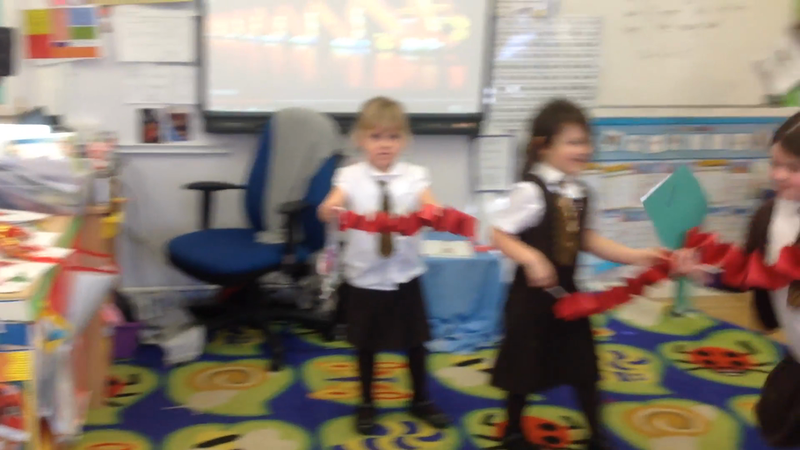 week beginning 7.12.18 Creating a class 'band!' Christmas stocking making and sewing! Class one showed real perseverance with this task and worked with great control of their needles. 27.11.18 - Making an advent calendar to count down the days until Christmas. Thinking about time and what time we do things or what part of the day we do them in. Weighing Christmas parcels. Our Christmas topic began! week beginning 25.11.18 - making our Jesse tree in preparation for Christmas, snow small world play, paper chain decoration making and measuring. Week beginning 19.11.18 - STICKMAN! We made our own stickman! 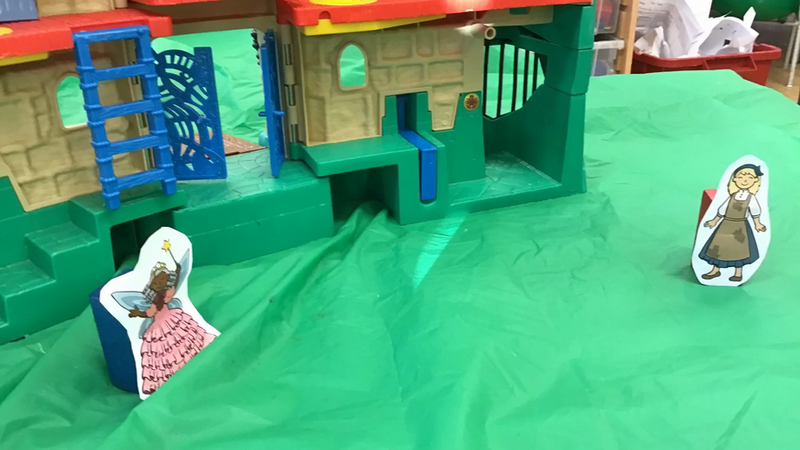 Worked in teams to design and make a new home for him and his family. Ordered sticks according to their length and retold the story in our writing. 13.11.18 - We are getting to know numbers more and more and confidenty read and order them. GRUFFALO CONTINUED: We made and designed our own Gruffalo hats, we wore this in the orchard when we acted out the story. We took part in other Gruffalo crafts and selected our own resources. Week beginning 12/11/18 -THE GRUFFALO. Here we are making Gruffalo story maps to help us retell the story! We were great at quoting the story. We also role played and measured pretending to make Gruffalo crumble. We also made dens for the animals to hide in. 7.11.18 - Autumn topic week. We explored the Autumn season thinking about what we can see, feel, hear, smell and taste. 16.10.18 The Firestation! Great fun was had by all at our firestation. We were able to explore the station, sit inside the engine, use the water hose and learn what a fireman does. Mrs Wiltshire also dressed up in their heavy uniform. October - Year 1 working on contractions in their grammar lessons. 15.10.18 SHAPES!! We went on a shape hunt, created shape pictures, made lego shapes, make shapes with ribbons, and explored the properties of shapes. 9.10.18 PC Emanuel vistited us to tell us all about how the police help us. We were so excited to learn about how they keep us safe. 28.09.18 - Making the fruit salad! We selected our own fruits and chopped them up ourselves. It was YUM! Getting FRUITY! Making supertato, releasing frozen veggies, ordering potato sizes and 28.09.18 we went to the Friday market to buy some fruit to make fruit salad. It was such a lovely experience and the children ordered their own individual fruits and handed over the money to the kind stool owner. Week beginning 24/09/18 SUPERTATO! Such fun was had with this topic! Potato printing, role playing the story with real life veg, carrot pens, fruit collages, floating and sinking, and much more! 17.09.18 - My incredible family: Learning about what makes a family, being unique and thinking about our own unique skills, being super heroes! Discussing family dynamics and linking it to those in the incredibles. 12.09.18 Our first school dinner - We LOVED it!